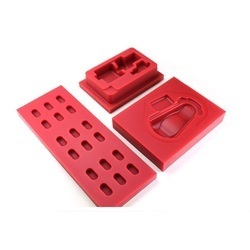 Pioneers in the industry, we offer plastic molds from India. With our expertise and immense knowledge in the field; we are providing a comprehensive array of Plastic Molds. The offered product is widely used in the designing of PVC blocks. It is precisely fabricated by our expert professionals by utilizing best grade components and innovative technology. Our offered product goes through the stringent quality check before delivery to meet the guidelines laid by the industry and also to ensure its best quality. Further, we provide this product at industry leading price.